DAMNOK TOEK – To assist vulnerable children and their families. To assist vulnerable children and their families. Damnok Toek (Goutte d’ Eau – Cambodia) was incorporated as a local NGO in 1997, with a mission to serve the most marginalized and at risk children and youth in Cambodia. The long-term vision of Damnok Toek is of a country where every child can live a safe and fulfilling life within the confines of a family. Damnok Toek seeks to address this mission and vision through the provision of multiple projects in targeted border communities in Poipet and Neak Leoung inclusive of Employment Resources, Migration Services, Drop-In/ Reception Centres, Residential Centres, Medical Clinics, and Non-Formal Education. To enable vulnerable or marginalized children to have all of their basic needs met and their rights respected. Victims of any kind of exploitation or abuse. Since 1997, DT has been running a drop in centre and a residential shelter in Neak Loeung. These facilities provide vulnerable children both from communities and DT’s residential centre with access to counselling, non-formal education, vocational training and medical care. Beginning work in Poipet in 1999, DT has been assisting vulnerable children and their families through a range of targeted health, education and vocational programs. Located in the north west of Cambodia at the main border crossing to Thailand, Poipet can be an exceptionally hazardous place for children. The head office is located in Capital of Cambodia where all management team are working for whole projects. To face the lack of services for young adults with mental disabilities, Goutte d’eau – a child support network (GEcsn) opened a social farm business in January 2017. 4-Access to Employment and Sustainability; and Physical and Intellectual Disabilities. This document will be used to guide the organizations direction over the next 4 years I would like to acknowledge the valuable contributions that DT members, individuals, stakeholders, board members and  Technical Advisors’ have made. 2018 Damnok Toek was awarded by Prix Caritas. 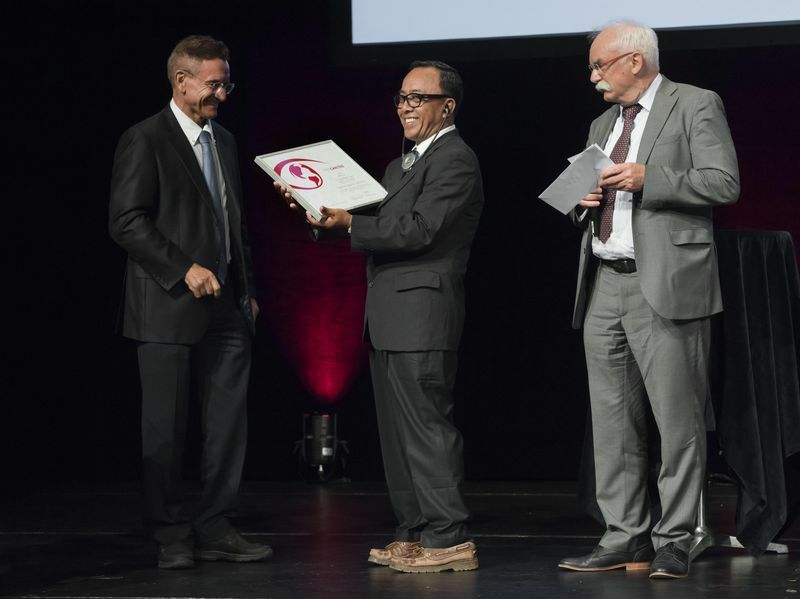 The Prix Caritas 2018 was presented in Lucerne to the Cambodian doctor Sovannarith Sam. Yves Serra, CEO and President of Georg Fischer, paid tribute to the award winner’s commitment. He has been actively engaged in promoting child protection and children’s rights in Cambodia for decades. At the core of his efforts are disadvantaged children who have become victims of enslavement, human trafficking and prostitution. Sovannarith Sam is the executive director of the child protection organisation ‘Damnok Toek’. It takes care of around 3,500 marginalised children each year in the cities of Phnom Penh, Poipet and Neak Loeung. In Poipet, on the border with Thailand, Sovannarith Sam runs various drop-in centres in which approximately 750 children, who live and work on the street, find refuge. They keep themselves and their families afloat – by carrying heavy loads, collecting waste, as beggars or, in the worst case, as child prostitutes. In the drop-in centres, the children can recover from the strains of their work. They are given a hot meal and can have a shower. ‘Damnok Toek’ also offers these children a basic education. Wherever possible, they are prepared for admission to a mainstream state school. In cooperation with public authorities and private business, the aid organisation also enables the boys and girls to gain a vocational qualification and helps them to get apprenticeships, work placements or jobs. According to Yves Serra, the commitment of the Cambodian doctor is shaped by his conviction that first and foremost, children are human beings with an inviolable dignity and with fundamental rights. The award of the Prix Caritas 2018 is intended to encourage him to continue his commitment to child protection and children’s rights. The Prix Caritas is awarded each year to persons who distinguish themselves by their great professional expertise and humanity, as well as their long-term and innovative engagement. The prize money of CHF 10,000 goes to one of the award winner’s projects. Their smiling is our commitment in mission to assist them.